This post is written in partnership with the English Folk Dance and Song Society. A rather special folk concert will take place at Cecil Sharp House in Camden later this month, marking the culmination of an epic year of recording by singer Jon Boden. 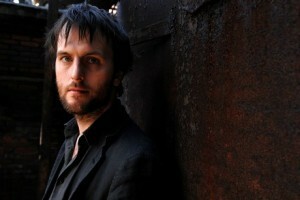 On 24 June 2010, Boden started posting a folk song every day on his website to promote the art of social (communal) singing. He will soon reach the end of his mission, having recorded 365 songs. Always up for a sing-song in his local pub, the idea emerged from his visits to the Royal in Dungworth, Sheffield, one of the handful of village pubs that keeps alive the Christmas carol singing tradition unique to South Yorkshire. Boden wondered why people didn’t all sing together the rest of the year too, and so launched his quest to get Britain singing again with monthly sessions at the Royal and the beginning of A Folk Song A Day. He tackled great old traditional classics such as ‘White Cockade’, ‘A Blacksmith Courted Me’ and ‘Adieu Sweet Lovely Nancy’ and looser interpretations of folk songs like Janis Joplin’s ‘Mercedes Benz’ and Al Stewart’s ‘Nostradamus’. As 2010 turned into 2011 he romped on through the likes of ‘The House Carpenter’, ‘Anachie Gordon’ and even ‘Oor Hamlet’ (a three-minute musical evocation of the Shakespeare play). Jon already knew about 200 songs, so had an extra 165 to learn. Some may question the inclusion of an unaccompanied treatment of the Bee Gees’ first hit New York Mining Disaster 1941 (28 April entry) or his version of Rogers & Hammerstein’s Oh What A Beautiful Morning from the musical Oklahoma (15 May) but, as he learned it from his grandmother, it seemed perfectly natural to include it. By 23 June, Jon will have 365 songs online, providing a unique, traditional folk song resource for those looking for inspiration; social singing made possible by modern technology. To celebrate completing this musical mission, Jon performs at Cecil Sharp House − home to the English Folk Dance and Song Society − on 23 June 2011 with a band and special guests. Not all 365 songs, you understand, but a goodly selection designed to demonstrate the range recorded, and hopefully to get you to singalong with him. Check out the project website where he's recorded detailed background notes to every song, plus the lyrics, giving you a chance to learn the words and singalong. Forget Nu-folk, this is folk music revisited, renewed and reinvigorated. A Folk Song A Day, a Midsummer Concert takes place at Cecil Sharp House, 2 Regent's Park Road, NW1 7AY on Thursday 23 June at 8pm. Buy tickets online £18/£15 adv. More info at www.efdss.org.